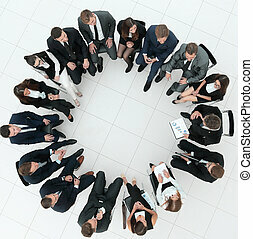 Business meeting isolated. 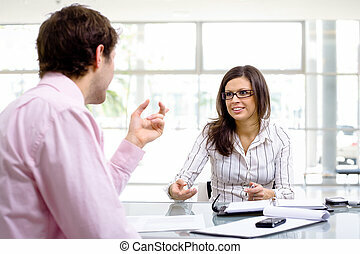 Happy young businesspeople talking on meeting at office. 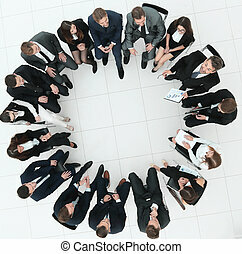 Happy young businesspeople talking on meeting at office. 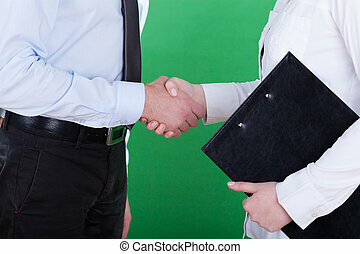 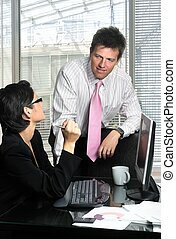 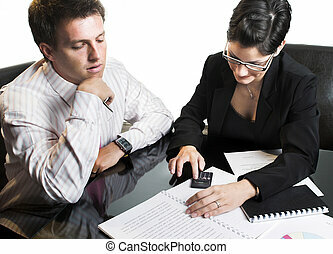 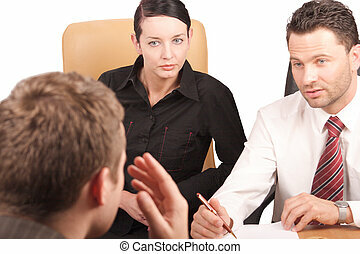 Handshake of businessman and businesswoman after successful business meeting isolated on white background. 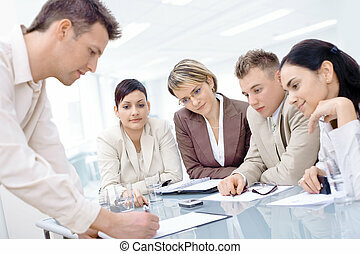 Businessman leaning on desk, explaining to four colleagues sitting. 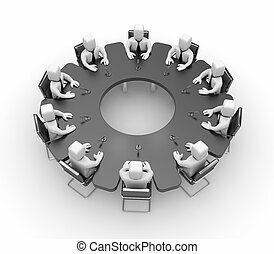 Five business colleagues sitting around table and having a meeting. 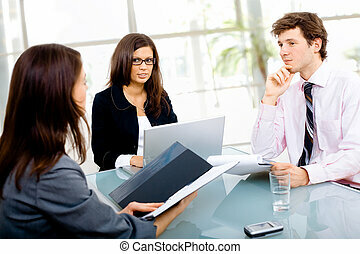 Group of five young business people working at office with businesswoman sitting in front. 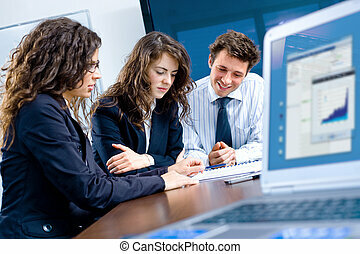 Three business colleagues working together on laptop computer in office, looking at camera, smiling. 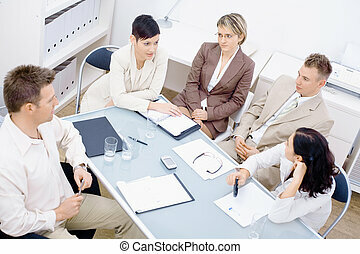 Five business colleagues sitting around table and working together, looking at camera, smiling. 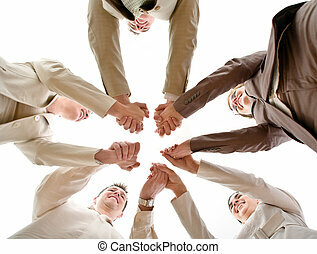 Five business people forming a circle and holding hands, smiling, low angle view. 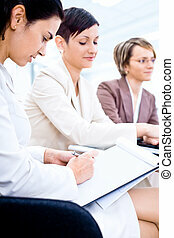 Three businesswoman attending on business training. 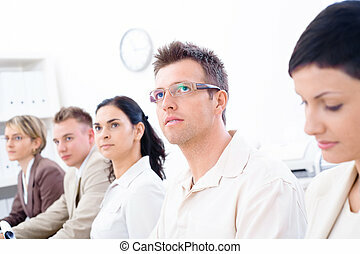 Sitting in a row, making notes, smiling. 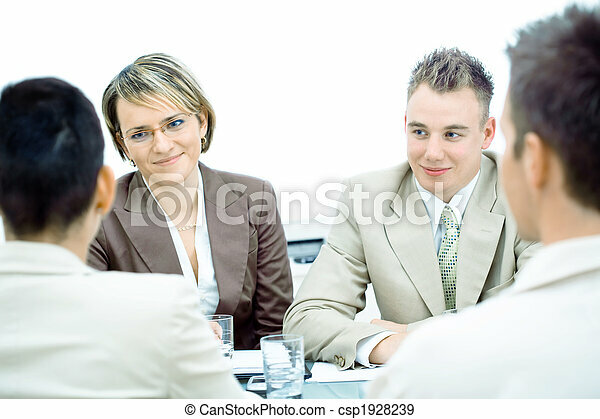 Business people sitting in a row and writing notes. 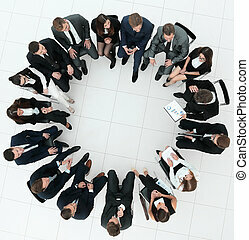 Browse my portfolio for vertical version. 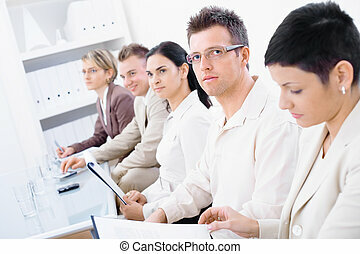 Five business colleagues sitting in a row at office and paying attention. 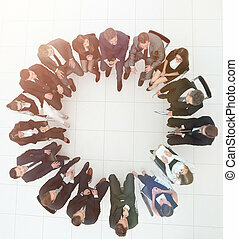 Browse my portfolio for vertical version. 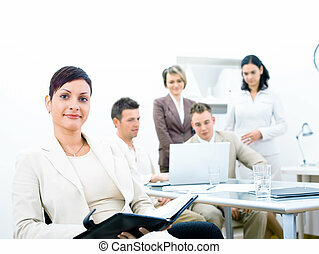 Businesswoman sitting in front, calling on phone, looking at camera, smiling. 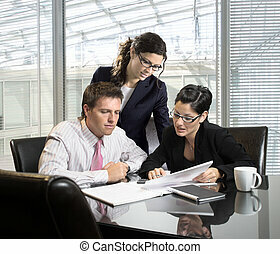 Four business colleagues working on laptop computer in background. 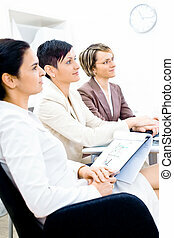 Three businesswoman attending on business training. 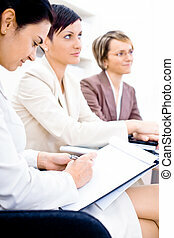 Sitting in a row, making notes, smiling. 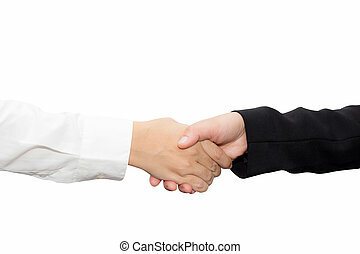 Very tight focus placed on writing hand. 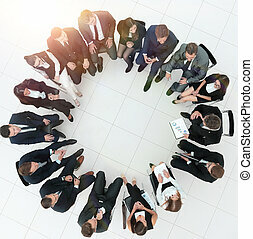 Group of five happy business people smiling and clapping, looking at same direction. 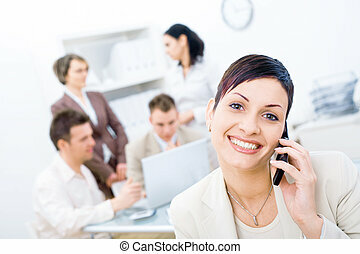 Businessteam of three working at office, businesswoman standing in foreground, calling on phone. 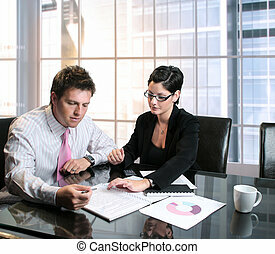 Young businesspeople are working in the meeting room. 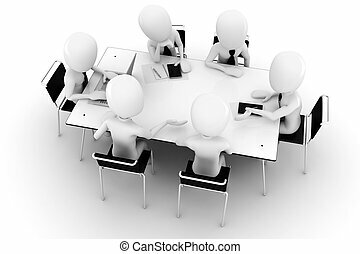 Image is isolated on white. 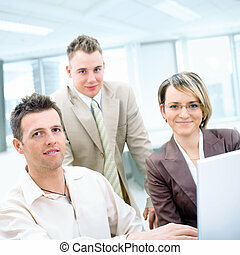 Three young businespeople working in team at office, smiling. 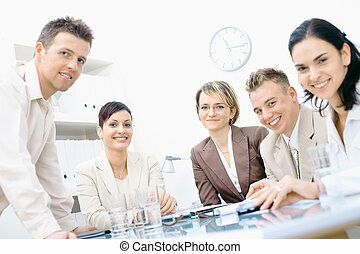 Happy business people having meeting at modern office, smiling. 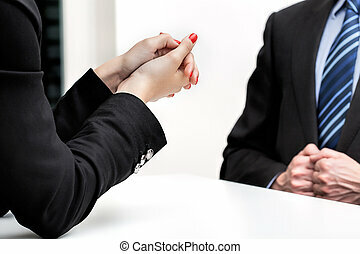 Close-up of hands of teamworking businesspeople on meeting at office. 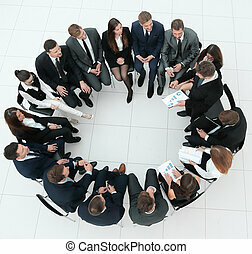 Happy young businesspeople having meeting in board room. 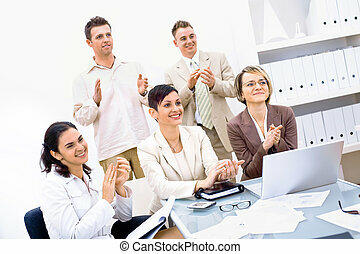 Graph showing progress on laptop screen. 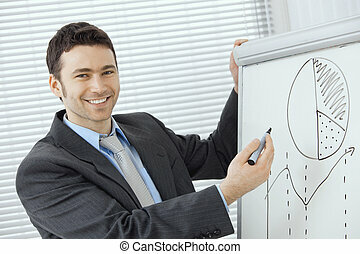 Young businessman doing business presentation, drawing and explaining charts on whiteboard in meeting room. 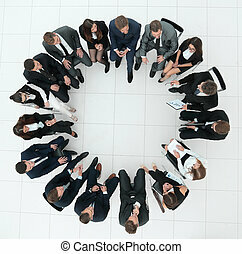 Young business people working in lobby. 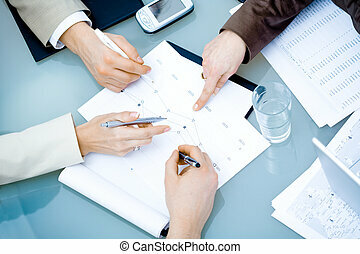 Young businesspeople work with documents and charts in the meeting room. 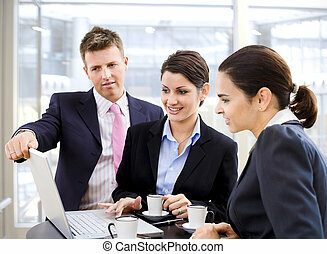 Young business people working over a laptop computer and drinking coffee. 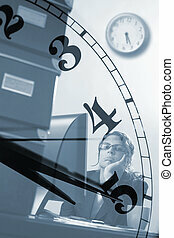 Bored young female officeworker thinks of the time when business hours end. 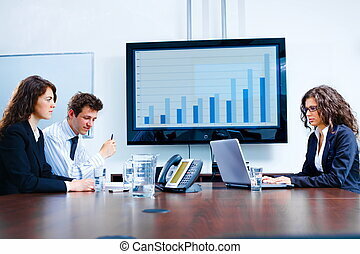 Young and good-looking business people are working tohether on a desktop computer in a modern office. 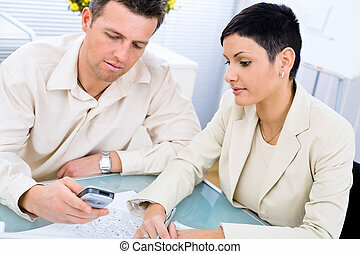 Business couple working at office. 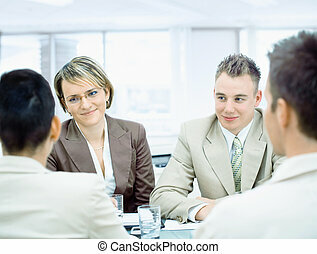 Happy young business people having meeting at office, looking at laptop computer, smiling. 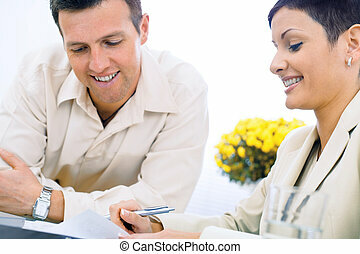 Business couple working at office, smiling.